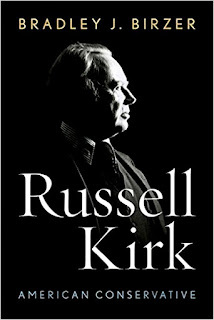 .... Kirk consistently rejected the typical right-left division of modern politics. In part, this flowed from Kirk’s principled rejection of ideology. Kirk understood ideology as “inverted religion.” Here, one senses Voegelin’s influence. With this phrase, Kirk rejected the tendency to think that we can realize heaven on earth through implementation of a political program. Whether such agendas were derived from socialism, libertarianism, progressivism, or even conservatism was, for Kirk, irrelevant. According to Kirk, there was a straight line between ideology in this sense and regimes willing to abandon all natural and legal restraints in order to realize political goals. Historically speaking, this has predominantly manifested itself on the left, assuming demonic form in the case of Communist governments. But there have also been instances in which ideology, in Kirk’s sense of the word, has flourished among sections of the right—nationalism (as distinct from patriotism) being a prominent example. 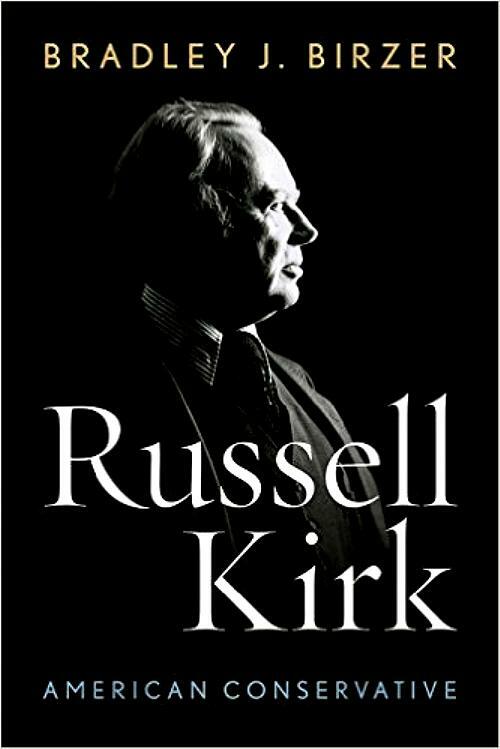 A second reason for Kirk’s rejection of the right-left paradigm was his longstanding interest in subjects that did not engage “political” questions, as such, but nonetheless were crucial in defining Western civilization. Here, Birzer’s discussion of Kirk’s relationship with T.S. Eliot is eye-opening. By any standard, Eliot was a man of the right and, as Birzer notes, was quite happy to discuss conservative ideas and figures in his correspondence with Kirk. Kirk was primarily interested, however, in Eliot’s poetry, spirituality, and sense of the mystical. Such things were, to Kirk’s mind, simply beyond politics and ought to remain so.